96. Elsie Lydia MCCHESNEY (16) was born on 7 Feb 1874 in Virginia. (10) (16) She died on 5 Nov 1943 in Wyoming County Hospital, Warsaw, Wyoming, NY. (16) She was buried in Wyoming Cemetery. (16) The funeral was held from her late home on November 8th at 2pm with the Rev. John Tyler, her pastor, officiating. 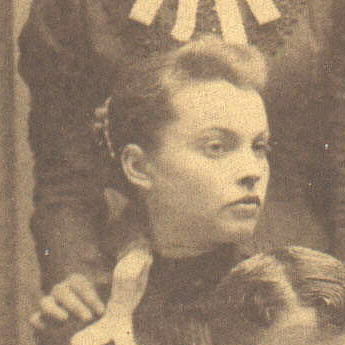 She lived in Wyoming for 55 years and was a member of the Wyoming Baptist Church, the WCTU, and the Susan Look Avery Club. For many years she had been a antique dealer. She lived on Academy St., Wyoming. 174 i. Joseph FALKNER (Private). +175 ii. Benjamin M. FALKNER.